Colonnade BridgePort (www.colonnadebridgeport.ca) is a leading commercial real estate services company which has operations in both Ottawa and the Greater Toronto Area (GTA). Colonnade BridgePort has over 8 million square feet under management and services both private and institutional owner and investor clients by providing investment management, property management, leasing, project management and development services. 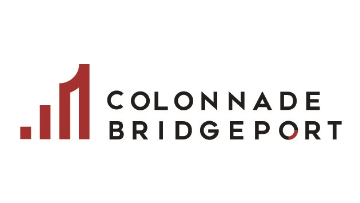 Colonnade Bridgeport is the largest property management company in the Ottawa area and is focused on expansion efforts in the GTA creating an immediate opportunity for a full-time Commercial Real Estate Business Development Professional to help grow the business. Reporting to the Director, Business Development, as the Commercial Real Estate Business Development Professional, you will focus on the company’s pursuit and retention of real estate owner and investors clients who require investment management, property management, leasing, project management, and development services. You will monitor industry trends and market dynamics, develop client relationships, strategies and solutions, help to secure mandates, and oversee the execution of client management activities across the company. You will also assist with the development and implementation of sales strategies, processes and tools to improve the efficiency and effectiveness of the business development function. You will have demonstrated business acumen, excellent verbal presentation and communication skills, customer service and client relations experience and be self-motivated with a desire to win business. Your growth within the company will be limited only by your competency, capacity, ambition, and attitude. Collect and analyze market data to identify growth opportunities and support existing sales programs. Maintain complete and accurate records of all prospecting and client management activities in a CRM database and monitoring the execution of those activities to ensure sales targets are met. Generate leads and develop relationships to create and exploit new business opportunities. Develop sales strategies and materials and participate in the delivery of key messages to stakeholders. Develop tools and processes to improve the sales team efficiency and ability to execute.